There’s a book I’ve been wanting to read ever since I first heard about it: Sacred Marriage by Gary L. Thomas. The tagline for the book is ‘What If God Designed Marriage to Make Us Holy More Than to Make Us Happy’. These ideas about marriage being an opportunity to refine our own character, and not simply a selfish ‘get what I want out of it’ union, is, I think, exactly what God intended. Young, in love and ready to be refined! If we look right back at the beginning of time in Genesis we see that Eve was created not simply as a companion but as a helper for Adam. And so that the men reading this don’t get to full of pride and power, God clears up any confusion in Ephesians 5:35 where he says: ‘Husbands, love your wives, just as Christ also loved the church and gave Himself up for her’. The love referred to here is 100% sacrificial, guys – to the point of humiliation, torture and death. One of Satan’s biggest, most successful lies is that being selfish (i.e. focusing on what I want before what I can offer others) is the way to happiness. Now there are many opportunities in life to find out that this is total rubbish, but perhaps none so effective as marriage. When you live with someone every day for the REST OF YOUR LIFE; when you are confronted with all their ugly character traits which you never saw during dating life (because don’t we all put on our best behaviour on a date? ); when you are so vulnerable that you expose all your own ugly character traits – this is when true love kicks in. Proverbs 117:3 says, “The refining pot is for silver and the furnace for gold, but the Lord tests the hearts.” God is reminding us of the extreme value he places in making our hearts right before Him And 1 Peter 1 tells us why. In verses 24-5 he says “All flesh is as grass,and all the glory of man as the flower of the grass. The grass withers, and its flower falls away, but the word of the Lord endures forever.” (Emphasis mine.) We need to go through the refining pot because the spiritual is forever! The physical – marriage – is ultimately temporal but it’s value in refining our hearts is eternal. 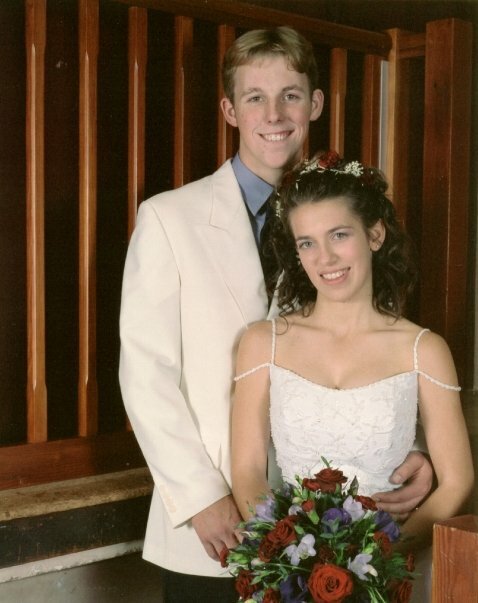 Eleven years older, wiser, and more in love. Perhaps the most famous love passage in the Bible is 1 Corinthians 13:4-7. I once was told to read through this passage, replacing the word ‘love’ with my own name. Yikes! It was sobering. We are free with the words “I love you” to our spouse. But do we really know what love is? What if we measured our love against this description? We say, “I love you so much I would die for you.” But do we love our spouse enough to live for them? In the everyday frustrations of opposing opinions, of different priorities, of conflicting personalities? That is where we really learn to lay down our life. Marriage is not there to ‘make us happy’, but when we let it make us holy, happiness happens. Take it from me – in my eleven years of marriage I have always been happiest when I have lived closest to God’s definition of servanthood. When (if!) we can conquer selfishness, there we find true joy. Go read 1 Corinthians 13:4-7 with your own name. Pray for true love. Live it out.